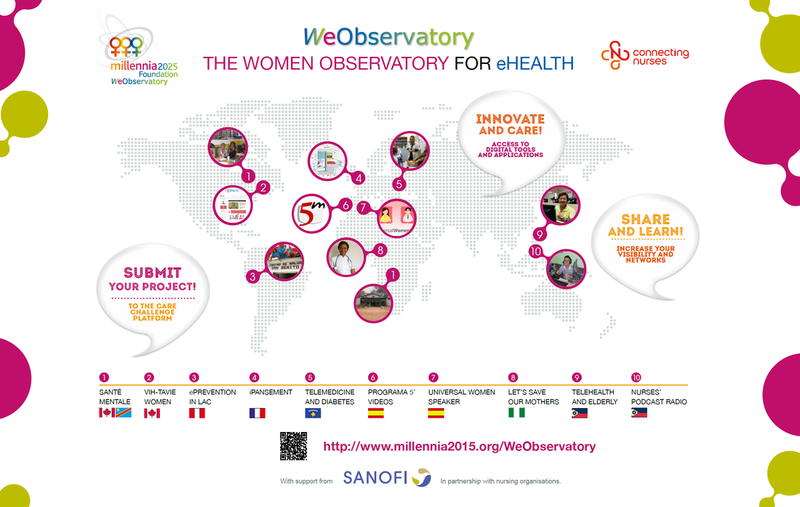 The projects selected to join the WeObservatory aim at empowering nurses, midwives, and women through the use eHealth tools and services. The projects, focused on maternal health, prevention, mental health, HIV/AIDS, diabetes, and elderly health, among other health issues, receive financial and technical support to expand the international visibility of their activities. Information on their implementation and results is shared at international conferences and published in journals, the Blog and Millennia2015 News. 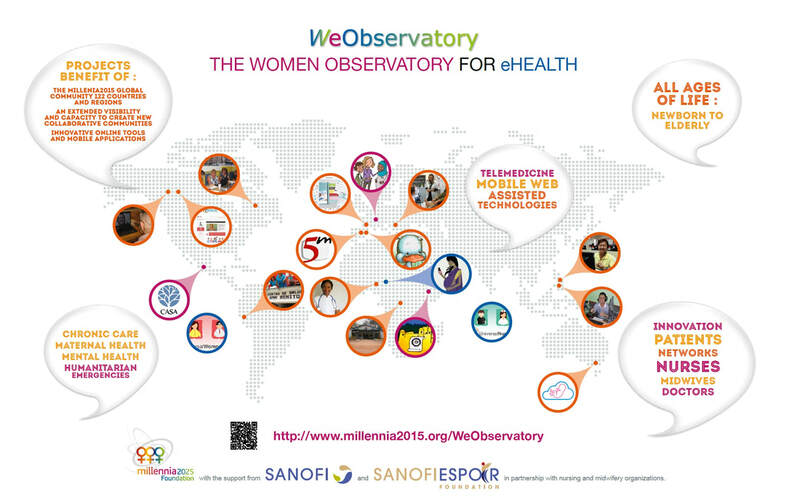 As of 2019, the WeObservatory consisted of 30 projects implemented in 23 countries around the world and in 6 languages, and 9 mobile apps have been developed so far as a result of the WeObservatory activities. 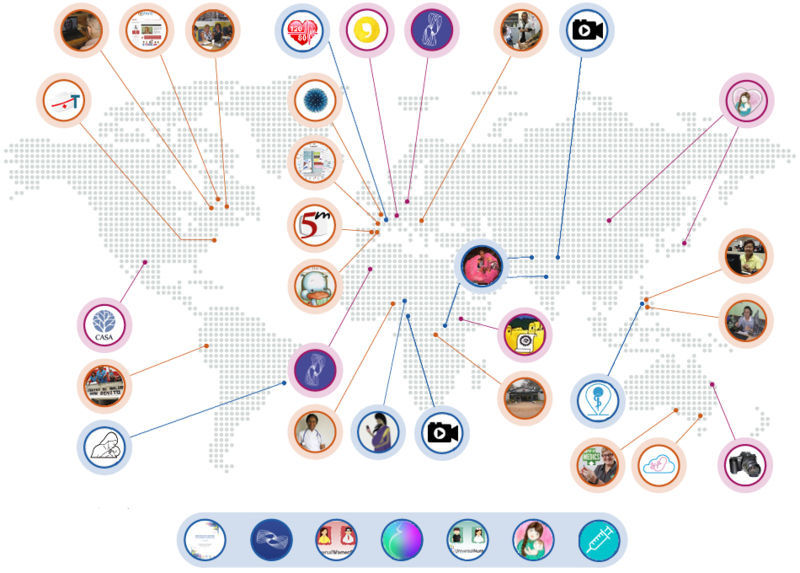 The Millennia2025 Foundation's portal received 7 million visits in 2017.